Revolutionary struggles erupt with their own dynamics. Such legacies and struggles are often symbolised by iconic figures. According to the mainstream myths, Gandhi, Jinnah, Nehru and other such leaders belonging to the native bourgeois fostered by the Raj led anti-colonial struggle in the Indian subcontinent. This generalised narrative is far from the truth. In reality, the movement had a clear class differentiation. Had the bourgeois leaders not been facilitated and propelled by the Raj and mainstream media as the central leadership at the helm of the anti-colonial struggle, the liberation movement would not have stopped at the stage of “national liberation.” Likewise, had the Communist Party of India played a revolutionary role to overthrow the Raj, there would have been a different outcome at the departure of the British. It is important to remember that the workers, youth, personnel of the armed forces and the peasants were active in the movement. One of the most significant names that symbolises this revolutionary current of the liberation struggle was “Bhagat Singh”. Eighty-eight years ago this renowned revolutionary icon of the mass revolt was assassinated, along with his two comrades, through the gallows at Lahore’s Central Jail by the British imperialists. He was only twenty-three years old. “Legally” the executions were to be carried out on 24 March 1931, but such was the fear of a mass insurrection amongst the imperialist masters that the three prisoners were hanged a day earlier, March 23, in the evening at 7.30 pm. Bhagat Singh along with his comrades in arms Sukhdev and Raj Guru were not just hanged but their bodies were mutilated and later burnt in the wee hours of that tragic March eve. This was a cowardly act of vengeance by the mightiest imperial power of its time. The Central Jail Lahore was later demolished and no memorial or commemorative plaques of these valiant revolutionaries exists at the site, now known as Shadman Chowk. Despite these acts of erasing the memory of these revolutionaries to quell the inspiration of their struggle, their revolutionary legacy lives on and continues to motivate the vanguard of the new generations in this subcontinent. Bhagat Singh’s legacy is tarnished and distorted on both sides of the Radcliff Line by the reactionary politicians and elite’s intelligentsia. This attempt to mould the history is aimed at distracting the toiling classes from treading the path of Bhagat Singh’s revolutionary legacy. In India, the portrayal of Bhagat Singh is no less incongruous. The Sikh fundamentalists have turned him into turban wearing devout Sikh while Sangh Parivar exploits his iconic figure to justify their nationalist chauvinism. 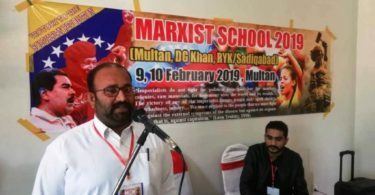 An irony in the case of fundamentalists is, a devoted Marxist, Bhagat Singh, struggled irreconcilably for a socialist revolution as the only real road to the liberation of the Indian subcontinent. At his death anniversary last year, on 23 March 2018, Narendra Modi stated, “The martyrdom of Bhagat Singh, Rajguru & Sukhdev was a watershed moment in our history. 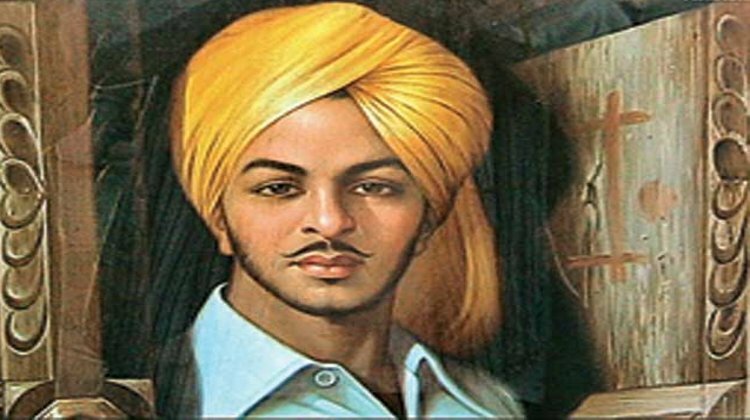 Every Indian is proud that these three great men belong to our land.” This deceitful admiration for Bhagat Singh by Modi is an insult upon injury inflicted upon the ideology and legacy of Bhagat Singh that started with the tragedy of bloodied partition. During the national liberation movement, Bhagat Singh’s revolutionary struggle had threatened the stranglehold of the native bourgeois leaders at the helm of the engineered political spectrum. The orders of his execution by the Viceroy of India at the time, Lord Irving, had the tacit approval of Gandhi. 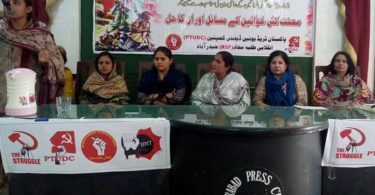 In Pakistan, the Islamicist fundamentalists and conservative right condemn Bhagat Singh as a kaafir (infidel) and a terrorist. His Sikh ancestry is abused and ideological convictions deprecated to undermine his inspirational struggle for successive generations. The accusations of him being a terrorist do not stand up to the facts of history.